There’s a Monday ritual in theatre offices around New York (shifted to Tuesday for holidays): the checking of the Broadway grosses. Obviously each producer and general manager knows how his or her show is doing. Investors may have received a notice from those offices when news is particularly good, in addition to when legally required. But for the theatre community at large, 3pm on Monday is the time to find out how everybody else is faring. On weeks such as this, with increased holiday traffic and increased prices to match, it’s no surprise that almost every show was trumpeting its best week ever and new box-office records for the venues in which they play. While the total for all shows together was pretty staggering – just shy of $50 million, a new cumulative record – it’s a sign of extraordinary demand met by many shows playing a nine-performance week, coupled with the ever increasing price of Broadway tickets. One show, the annual visit of The Illusionists, managed to squeeze in 17 performances in a seven-day span, boosting their take in a way that no typical Broadway show could do – although their gross sale of $2.4 million was still less than Hamilton’s $3.3 million gross for only eight performances. Going back three decades, the grosses were pretty much the exclusive domain of Variety, the one-time dominant US analogue of The Stage (although it carried film and television news as well, and still does online). In those days, because of the print publication schedule, pre-internet, the information was always a week behind, but there were also grosses for Off-Broadway, touring shows and regional companies. 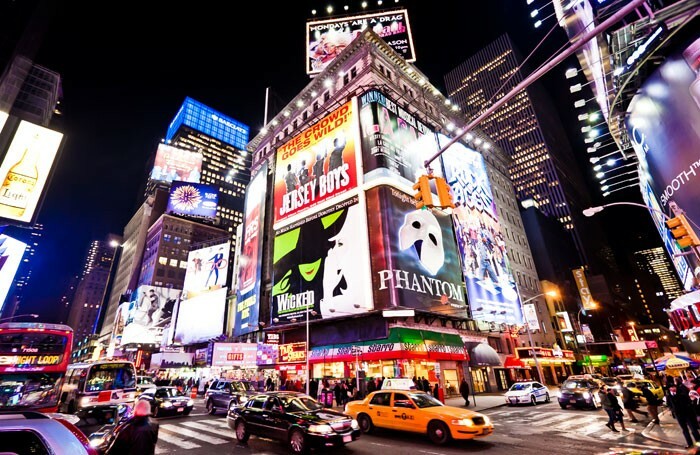 Now, the Broadway League releases the detailed data on its own website, which is replicated by online sources such as Broadway World and Playbill. Others, including the New York Times and Deadline, tend to write short pieces noting the highlights of the week’s business. Most weeks, it’s fairly unsurprising, as hits remains hits and fading shows continue to fade. Parsing the grosses can be tricky, given variable pricing, VIP tickets, extra performances and the like. While a potential gross figure appears for each show, some wildly exceed that figure. The percentage of capacity sold doesn’t necessarily mean the show has reached its gross sales potential, as discounting can fill seats, but hold down revenue. That’s where the weekly figure of the average price paid can be informative, as a sold-out show may still be performing below what it could have made at full price. There’s an art to reading the grosses. All the hoopla over new marketplace highs also serves as a reminder that as prices increase, so can sales records, and that, overall, Broadway grows more expensive, like so many things, year after year. That said, only five shows showed an average price of more than $150 last week – not cheap, but also not out of line with other forms of live entertainment and sporting events. Of shows with UK pedigrees, neither the Donmar’s Les Liaisons Dangereuses or Complicite’s The Encounter approached capacity crowds or high average prices during the holiday week, while in the final week of its run, Matilda recorded 100.56% of capacity and a $146 average price, a strong finale. With the grosses being so generally available, I have often wondered how many people outside the business actually care a whit about them, or delve into them enough to understand what they really say. But for those who want to study the business of Broadway, they can be highly informative, provided one knows to look for the standard variables. There are also anomalies such as last year’s January blizzard, which will forever show a particularly slow week in the record books, but without the external explanation of what led to it. The public airing of the weekly grosses may allow shows to proclaim new achievements in sales and popularity, but they also prevent others from making false claims. In a ‘post-truth’ era, in which fake news is on everyone’s lips, this financial transparency is backed up by most shows needing to file public documents attesting to these figures as well, should anyone question weekly announcements. That can only help to give a certain assurance to those who have any monetary stake in the Broadway universe, whether as artists, vendors or investors. We don’t necessarily know what shows are spending, but what they’re bringing in is out there for all to see. As stage venues go, an aircraft carrier certainly qualifies as one of the quirkier ones, but the USS Intrepid, long docked as a museum on Manhattan’s west side will briefly be home to a most appropriate theatrical event. Blueprint Specials revives material created during World War II as part of a veritable do-it-yourself kit for military members to take part in entertainments overseas. Theatre company Waterwell will recreate that experience with a mixture of theatre pros and military veterans for six days only beginning on January 6. The material is noteworthy – there’s choreography from Jose Limon and songs by Frank Loesser. Tom Ridgely, Waterwell’s co-artistic director, adapted the vintage material and directs. As the New York City Opera arises from its collapse several years ago, it seems to have found itself a hit – even with performances beginning on January 6. The production, long a staple of the company’s repertory, is Leonard Bernstein’s Candide, directed by Harold Prince, who first revived the work on Broadway in the 1970s and mounted it for City Opera in the 1980s. Originally announced for six performances, it has been extended to 10, and may well help this fledgling company with a historic name on its path to fuller production. It has been, remarkably, 19 years since Garry Hynes’ Druid Theatre production of Martin McDonagh’s The Beauty Queen of Leenane reached Broadway, winning four Tony Awards including one for Hynes and another for Marie Mullen as the put-upon daughter of a monstrous mother. Beginning on January 11, Hynes guides Beauty Queen, again via Druid, back to New York, at the Brooklyn Academy of Music, for a four-week run, in Mullen takes on the mother’s role, turning the tables two decades later. While Cate Blanchett and the Sydney Theatre Company have briefly appeared in New York over the years in short festival runs, Blanchett will make her Broadway debut on January 8 with The Present, Andrew Upton’s adaptation of Chekhov’s early play Platonov, previously adapted by Michael Frayn as Wild Honey. Blanchett’s frequent co-star Richard Roxburgh, is also making his Broadway debut – as is every other member of the cast. It’s terrific to see Australian work get this showcase, especially for those of us who’ve never had the opportunity to travel there. John Crowley directs.